On July 25, 2017, Africa celebrated the under the theme, ‘Harnessing the Blue Economy in Achieving the African Union Agenda 2063,’ and launched the 2015-2025 Decade of African Seas and Oceans.The celebration of Africa Day of Seas and Oceans is one of the recommendations of the 2050 Africa’s Integrated Maritime Strategy (AIMS). The 2050 AIM Strategy provides a broad framework for the protection and sustainable exploitation of Seas and Oceans of Africa. Protecting the ocean is everyone business – and so the responsibility of every African. The Ocean Action Hub is hosting the Ocean Forum discussions, which aim to engage stakeholders in assessing the challenges and opportunities related to delivering on SDG14 implementation in the run-up to The Ocean Conference. From the 13th-16th of February at the Ecole Superieure Polytechnique of the Universite Cheikh-Anta-Diop in Dakar, Senegal, the OA-Africa Network had their first face-to-face meeting to discuss mechanisms for knowledge exchange between ocean acidification scientists across Africa and to build momentum for scientific action. SOLAS generated an event report for the event which can be found here! 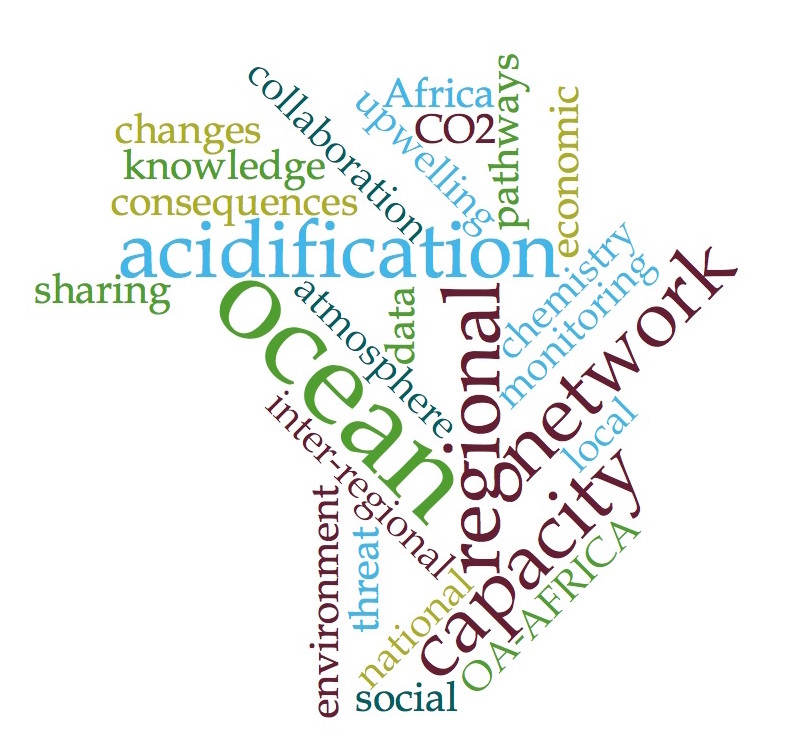 A call was put out to all scientists conducting or interested in conducting ocean acidification monitoring and research in Africa were encouraged to join the first call for the OA-Africa network. 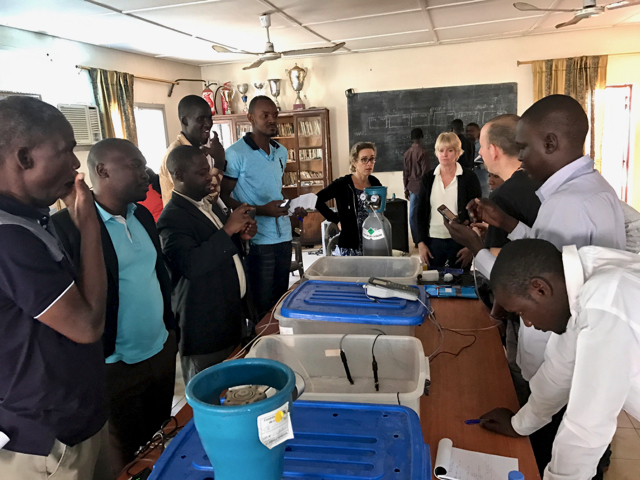 The network is designed to provide a platform for sharing ideas, designing collaborative research programmes, troubleshooting challenges, and facilitating international collaboration and support. 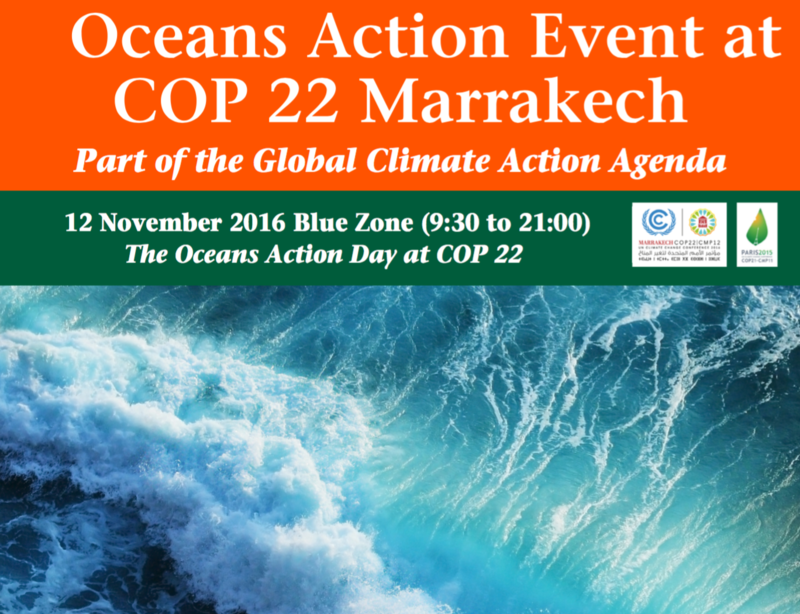 Held in Marrakech, the first-ever Oceans Action Day underscored the role of the ocean in mitigating climate change and regulating the climate while recognizing the challenges that ocean acidification and habitat degradation pose to the conservation and sustainable development of oceans and the livelihoods and well-being of coastal and island communities.